Located in the heart of Asakusa, this cafe offers a cheap breakfast that caters both to Muslim and vegetarian tourists. This fusion type restaurant serves halal and organic ingredients. It is a great place to have a nice breakfast set and relax before visiting the beautiful, but busy Asakusa district. You can also grab some tasty shakes/coffee and dessert! A few minutes from Asakusa station, it has good service, good food at a reasonable price and the location is also interesting, as it is near the temple and small shops. For breakfast and lunch, there are 4 choices to choose from, they are all great! The morning set is tasty and the coffee is good too, what's more, it's really cheap! The morning set starts at 370 yen and it comes with a boiled egg, salad, toast and coffee. February Cafe is a very trendy place located in Kanarimon, near Asakusa station. It's a great place to come chill, have a nice cup of hot chai and some scones. It's a very comfortable and nice setting. You can sit outside as well! Their toast menu are must-try here. Bread are all from Pelican, an authentic, long-established and famous bakery in Asakusa. 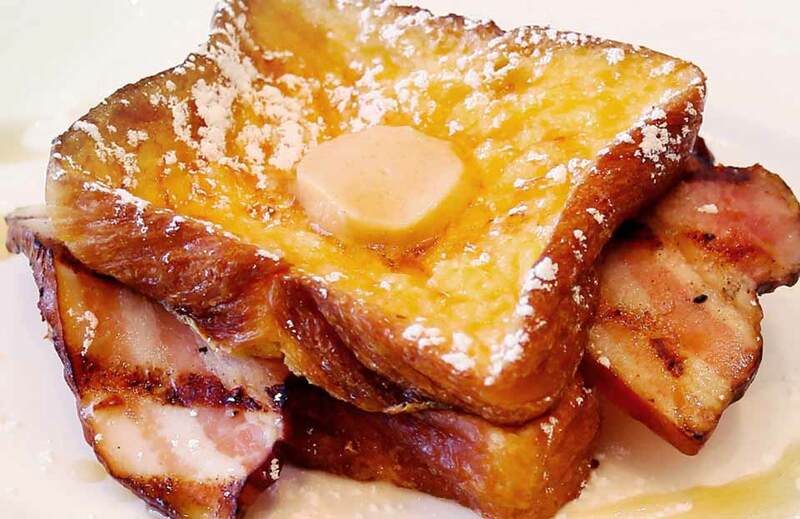 They offer butter toast, cheese toast and honey cinnamon toast (they're 320-380 yen). Suke6 is an awesome place for brunch which has outstanding service and the cafe itself is also beautiful. If you want to unwind from the bustling streets of Asakusa, this place is a great refuge. For breakfast or brunch, the avocado toast is amazing, so are the waffles. Be sure to try their delicious coffee too! R Restaurant & Bar is located on the 13th floor of the Gate Hotel Kaminarimon and offers a spectacular view of the Sky Tree. Breakfast is offered from 6:30-10 AM and is ¥2,160. You can order a main dish and also their vegetable buffet.